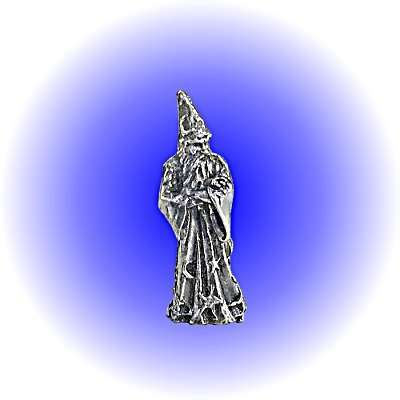 New Fantasy Wizard Pewter Figurine - Lead Free. The Wizard length is 1.25 inches. The Wizard is detailed and stands by itself. All measurements are approximate.